Practicing your draft strategy, setting your budget, building your bankroll and creating your plan of attack are only a few of the steps fantasy sport players must go through at the beginning of any game. While this may seem overwhelming for inexperienced players, it’s a must if you want to climb the ranks in the fantasy sport world. Fantasy sports has been gaining popularity across the globe and for the first time ever in North America, The Fantasy Sports Show will be coming to Toronto’s International Centre from August 25th to 27th. The Fantasy Sports Show is focused on education and will offer visitors the chance to meet and learn from top fantasy experts. Headliners like The Fantasy Footballers, Darcy Tucker, current UFC middleweight champion Michael Bisping, FNRSY Sports Network host Gabe Mercy, and many more, will be on-site to offer tips and insights into the world of fantasy gaming. The show features numerous activities and attractions. With an educational and interactive show floor, the show’s family friendly atmosphere will keep attendees entertained all weekend long. The Midway— Satisfy all your retail and fantasy shopping needs, as well as find the very best sites for DFS, Season Long and for all sports. The Knowledge Centre—Featuring three fully equipped seminar rooms, learn and interact with some of the great fantasy minds of fantasy sports, all conveniently gathered in one building. The Pub —Enjoy some spirits or beers from the world’s finest producers. The Armchair Athlete Combine— Run through some of the best workouts inspired by the Pre-Draft Combine and see how you stack up against both your friends and strangers. High scorers will be rewarded with prizes, swag and bragging rights. Collectables Corner—Make finishing your collection a breeze, no matter your niche. Gentlemen’s GM— Find the very best in Gentlemanly grooming, fashion and tattooing. Draft Central — Book yourself in one of many free Draft Suites and enjoy drafting in style. The Ultimate Sports Den — Featuring the latest in tech to bring your sports watching experience up a notch. The Halftime Show Stage— Hear and meet some of the biggest influencers in the industry. The Tailgate Experience— Experience the latest and greatest in tailgating cuisine. Sample your way through this area and leave with some easy and delicious recipes to try at home. Whether you are a fantasy sports connoisseur or just looking for an affordable weekend activity and some family fun, The Fantasy Sports Show is bound to have something for everyone. Parking and access to all features and attractions are included in the ticket price. For more information on The Fantasy Sports Show, please visit thefantasysportsshow.com. 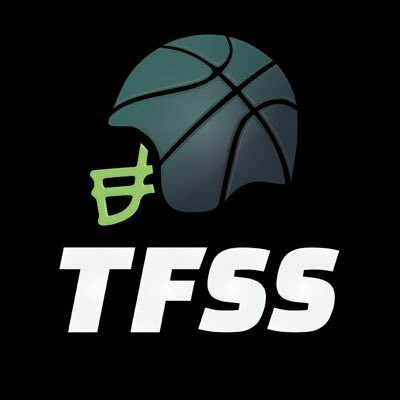 Follow @thefantasySS on Twitter, @TheFantasySportsShow on Instagram, and like them on Facebook for all the latest updates. With a focus on education, The Fantasy Sports Show offers you the chance to meet and learn from the top fantasy experts, headlined by The Fantasy Footballers. Learn all the tips and tricks directly from the pros on how to compete in the largest DFS tournaments, and more importantly how to dominate your office or friends pool. While you’re there be sure to enjoy the retail shopping and the various featured zones. With an educational and interactive show floor, our family friendly atmosphere will keep you entertained all weekend long.